Silicon rubber insulators (SRIs) are widely used in power transmission lines as line support and as insulation between the line and the tower. Given that the aging of SRIs threatens the safety and stability of power grids, the accurate assessment of the aging status of SRIs is crucial. 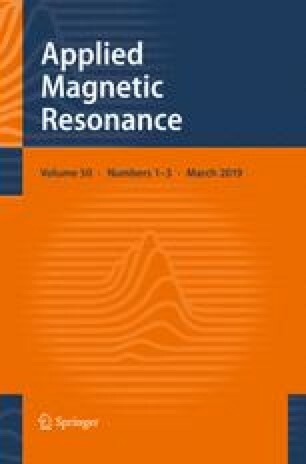 In this study, a portable unilateral magnetic resonance (UMR) measuring system for the nondestructive testing of the aging status of SRIs was proposed. The proposed NMR measurement system includes a mini UMR sensor and a measurement circuit. Details of the mini UMR sensor structure and low-cost circuit design were discussed. The Carr–Purcell–Meiboom–Gill sequence was used to record the 1H transverse relaxation curves of SRI sheds. Inverse Laplace transformation was employed to obtain the T2 distribution, and two peaks in the T2 distribution curve were observed. The long T2 component was selected to quantify the aging degree because of its stability compared with the short T2 component. To eliminate the inaccuracy of measurement introduced by the different chemical structures of SRIs produced by different companies, the aging status of the SRIs was represented by the changes in T2 between the surface and internal materials of the SRI. This work was supported by the State Key Development Program for Basic Research of China (973 Project, No. 2014CB541602), National Natural Science Foundation of China (Nos. 51677008 and 51707028), and Fundamental Research Funds of Central Universities (Nos. 106112015CDJXY150003 and 2018CDJDDQ0017).